Opportunities to be immersed in STEM and develop skills through STEM-based experiential learning experiences. Development of a strong social capital network. Cultivation of long-term relationships between a diverse group of students and industry professionals. The Youth Development Program at Discovery Place is for grades 9-12 and has limited availability. Participants will be selected based on a completed application, reference letters and an interview. Interview dates will be sent at the close of the application period. Applicants should complete the Youth Development Application below and provide two reference letters from their current school, church or other extracurricular organizations. Students may apply to only one Museum. Applications for the 2019 Summer Session will be accepted March 10 through March 31, 2019 at 5:00 pm. Level Up: A discussion, demonstration and experimentation series that will expose students to a variety of STEM careers. The series connects the real world to Museum work and provides opportunities to sharpen STEM knowledge and skills. 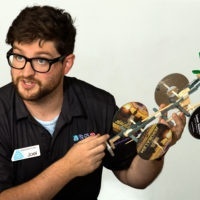 Level Up presenters will represent the diversity of the Charlotte STEM community. Career College Sequence: A series of workshops covering topics such as college applications, résumé building, financial literacy, interviewing skills, public speaking and networking. Performance reviews: A method of identifying strengths and opportunities for further growth. Youth Development Program participants who complete at least 100 hours of volunteer work will receive a Family Membership to all Museums valued at $200.00. Apprentices gain experience in customer service and learn how to engage the public in floor and lab programming, science demos and rainforest and aquarium interpretation. Apprentices must complete 100 hours of service over a maximum of 9 months. 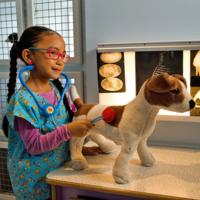 Summer and school year sessions are available at Discovery Place Science, Discovery Place Nature and Discovery Place Kids-Huntersville. 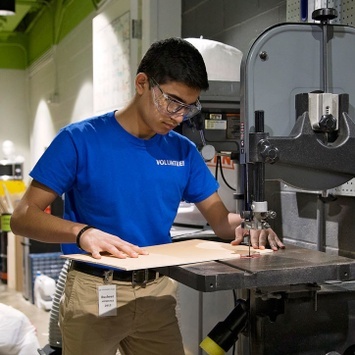 Students who complete their Apprenticeship in good standing may apply to become a STEM Intern. Interns receive training in science content and informal science education in order to co-facilitate workshops and special programs. Interns have access to varied leaders within their departments. Interns are required to complete 150 service hours over a maximum of 12 months. 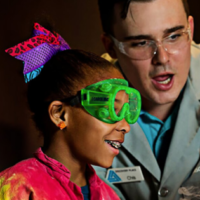 STEM Intern positions are currently available at Discovery Place Science only. After completing the minimum requirements as a STEM Intern I and demonstrating overall mastery of responsibilities, students will be invited to apply for a STEM Intern II position. STEM Interns II gain access to interdepartmental, behind-the-scenes and leadership opportunities within Discovery Place to research, design and facilitate programming for the public with internal support. STEM Intern II will commit to working closely with the Manager of Youth Development to lead the Discovery Place Leadership Council, completing a Museum project and a minimum of 200 hours of service over a maximum of 12 months.